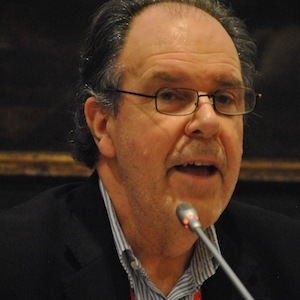 John Lloyd is contributing editor at the Financial Times, a columnist at Reuters.com and chairman of the School of Civic Education in Russia. Previously, he was the features editor and editor of Time Out; reporter for London Programme and Weekend World on London Weekend TV; industrial reporter, Labour correspondent, Labour editor, Labour and industrial editor, East Europe editor, and Moscow Bureau chief of the Financial Times; founding editor, FT Weekend Magazine; editor, New Statesman; and a reporter for LBC radio. John is the co-founder of the Reuters Institute for the Study of Journalism, where he also worked as director of journalism and a research fellow. He has written a number of books, including Loss Without Limit: the British Miners’ Strike; (with Martin Adeney) Routledge (1986) and The Future of Work (with Charles Leadbeater) Penguin (1987). His new book, Scotland: the Ruin of a Nation, will be published in 2019.